"EPA" and "Environmental Protection Agency" redirect here. For other uses, see EPA (disambiguation). The EPA has its headquarters in Washington, D.C., regional offices for each of the agency's ten regions, and 27 laboratories. The agency conducts environmental assessment, research, and education. It has the responsibility of maintaining and enforcing national standards under a variety of environmental laws, in consultation with state, tribal, and local governments. It delegates some permitting, monitoring, and enforcement responsibility to U.S. states and the federally recognized tribes. EPA enforcement powers include fines, sanctions, and other measures. The agency also works with industries and all levels of government in a wide variety of voluntary pollution prevention programs and energy conservation efforts. In 2018, the agency had 14,172 full-time employees. More than half of EPA's employees are engineers, scientists, and environmental protection specialists; other employees include legal, public affairs, financial, and information technologists. In the years following, similar bills were introduced and hearings were held to discuss the state of the environment and Congress's potential responses. In 1968, a joint House–Senate colloquium was convened by the chairmen of the Senate Committee on Interior and Insular Affairs, Senator Henry M. Jackson, and the House Committee on Science and Astronautics, Representative George P. Miller, to discuss the need for and means of implementing a national environmental policy. In the colloquium, some members of Congress expressed a continuing concern over federal agency actions affecting the environment. President Nixon signed NEPA into law on January 1, 1970. The law created the Council on Environmental Quality (CEQ) in the Executive Office of the President. NEPA required that a detailed statement of environmental impacts be prepared for all major federal actions significantly affecting the environment. The "detailed statement" would ultimately be referred to as an environmental impact statement (EIS). On July 9, 1970, Nixon proposed an executive reorganization that consolidated many environmental responsibilities of the federal government under one agency, a new Environmental Protection Agency. This proposal included merging antipollution programs from a number of departments, such as the combination of pesticide programs from the United States Department of Agriculture, Department of Interior, and U.S. Department of Interior. After conducting hearings during that summer, the House and Senate approved the proposal. The EPA was created 90 days before it had to operate, and officially opened its doors on December 2, 1970. The agency's first Administrator, William Ruckelshaus, took the oath of office on December 4, 1970. In its first year, the EPA had a budget of $1.4 billion and 5,800 employees. At its start, the EPA was primarily a technical assistance agency that set goals and standards. Soon, new acts and amendments passed by Congress gave the agency its regulatory authority. EPA staff recall that in the early days there was "an enormous sense of purpose and excitement" and the expectation that "there was this agency which was going to do something about a problem that clearly was on the minds of a lot of people in this country," leading to tens of thousands of resumes from those eager to participate in the mighty effort to clean up America's environment. When EPA first began operation, members of the private sector felt strongly that the environmental protection movement was a passing fad. Ruckelshaus stated that he felt pressure to show a public which was deeply skeptical about government's effectiveness, that EPA could respond effectively to widespread concerns about pollution. In 1972, Congress also amended the Federal Insecticide, Fungicide, and Rodenticide Act, requiring the newly formed EPA to measure every pesticide's risks against its potential benefits. Four years later, in October 1976, Congress passed the Toxic Substances Control Act, which like FIFRA related to commercial products rather than pollution. This act gave the EPA the authority to gather information on chemicals and require producers to test them, gave it the ability to regulate chemical production and use (with specific mention of PCBs), and required the agency to create the National Inventory listing of chemicals. In 1988, during his first presidential campaign, George H. W. Bush was vocal about environmental issues. He appointed as his EPA administrator William K. Reilly, an environmentalist. Under Reilly's leadership, the EPA implemented voluntary programs and a cluster rule for multimedia regulation. At the time, the environment was increasingly being recognized as a regional issue, which was reflected in 1990 amendment of the Clean Air Act and new approaches by the agency. Office of the Administrator (OA). As of March 2017 the office consisted of 11 divisions, the Office of Administrative and Executive Services, Office of Children's Health Protection, Office of Civil Rights, Office of Congressional and Intergovernmental Relations, Office of the Executive Secretariat, Office of Homeland Security, Office of Policy, Office of Public Affairs, Office of Public Engagement and Environmental Education, Office of Small and Disadvantaged Business Utilization, Science Advisory Board. Each EPA regional office is responsible within its states for implementing the Agency's programs, except those programs that have been specifically delegated to states. It is worth noting that, in looking back in 2013 on the agency he helped shape from the beginning, Administrator William Ruckelshaus observed that a danger for EPA was that air, water, waste and other programs would be unconnected, placed in "silos," a problem that persists more than 50 years later, albeit less so than at the start. Through the Safer Detergents Stewardship Initiative (SDSI), EPA's Design for the Environment (DfE) recognizes environmental leaders who voluntarily commit to the use of safer surfactants. Safer surfactants are the ones that break down quickly to non-polluting compounds and help protect aquatic life in both fresh and salt water. Nonylphenol ethoxylates, commonly referred to as NPEs, are an example of a surfactant class that does not meet the definition of a safer surfactant. The EPA Safer Choice, has identified safer alternative surfactants through partnerships with industry and environmental advocates. These safer alternatives are comparable in cost and are readily available. CleanGredients is a source of safer surfactants. EPA's Smart Growth Program, which began in 1998, is to help communities improve their development practices and get the type of development they want. Together with local, state, and national experts, EPA encourages development strategies that protect human health and the environment, create economic opportunities, and provide attractive and affordable neighborhoods for people of all income levels. In the late 1970s, the need to clean up sites such as Love Canal that had been highly contaminated by previous hazardous waste disposal became apparent. However the existing regulatory environment depended on owners or operators to perform environmental control. While the EPA attempted to use RCRA's section 7003 to perform this cleanup, it was clear a new law was needed. 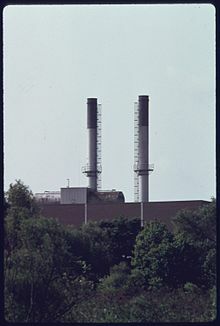 In 1980, Congress passed the Comprehensive Environmental Response, Compensation, and Liability Act, nicknamed “Superfund.” This law enabled the EPA to cast a wider net for responsible parties, including past or present generators and transporters as well as current and past owners of the site to find funding. The act also established some funding and a tax mechanism on certain industries to help fund such cleanup. The latter was not renewed in the 1990s, which means funding now comes from general appropriations. Today, due to restricted funding, most cleanup is performed by responsible parties under the oversight of the EPA and states. As of 2016, more than 1,700 sites had been put on the cleanup list since the creation of the program. Of these, 370 sites have been cleaned up and removed from the list, cleanup is underway at 535, cleanup facilities have been constructed at 790 but need to be operated in the future, and 54 are not yet in cleanup stage. In February 2005, EPA launched a program called "Your MPG" that allows drivers to add real-world fuel economy statistics into a database on the EPA's fuel economy website and compare them with others and with the original EPA test results. The EPA conducts fuel economy tests on very few vehicles. "Just 18 of the EPA's 17,000 employees work in the automobile-testing department in Ann Arbor, Michigan, examining 200 to 250 vehicles a year, or roughly 15 percent of new models. As to that other 85 percent, the EPA takes automakers at their word—without any testing-accepting submitted results as accurate." Two-thirds of the vehicles the EPA tests themselves are randomly selected and the remaining third is tested for specific reasons. EPA's oil spill prevention program includes the Spill Prevention, Control, and Countermeasure (SPCC) and the Facility Response Plan (FRP) rules. The SPCC Rule applies to all facilities that store, handle, process, gather, transfer, refine, distribute, use or consume oil or oil products. Oil products includes petroleum and non-petroleum oils as well as: animal fats, oils and greases; fish and marine mammal oils; and vegetable oils. It mandates a written plan for facilities that store more than 1,320 gallons of fuel above ground or more than 42,000 gallons below-ground, and which might discharge to navigable waters (as defined in the Clean Water Act) or adjoining shorelines. Secondary spill containment is mandated at oil storage facilities and oil release containment is required at oil development sites. EPA regulates underground storage tanks (USTs) containing petroleum and hazardous chemicals under Subtitle I of the Solid Waste Disposal Act. This program was launched in 1985 and covers about 553,000 active USTs. Since 1984, 1.8 million USTs have been closed in compliance with regulations. 38 states, the District of Columbia and Puerto Rico manage UST programs with EPA authorization. When the program began, EPA had only 90 staff to develop a system to regulate more than 2 million tanks and work with 750,000 owners and operators. Administrator Lee Thomas told the program's new manager, Ron Brand, that it would have to be done differently that EPA's traditional approach. This program therefore behaves differently than other EPA offices, focusing much more on local operations. It is primarily implemented by states, tribes, and territories. Today, the program supports the inspection of all federally regulated tanks, cleans up old and new leaks, minimizes potential leaks, and encourages sustainable reuse of abandoned gas stations. EPA ensures safe drinking water for the public, by setting standards for more than 160,000 public water systems nationwide. EPA oversees states, local governments and water suppliers to enforce the standards under the Safe Drinking Water Act. The program includes regulation of injection wells in order to protect underground sources of drinking water. Select readings of amounts of certain contaminants in drinking water, precipitation, and surface water, in addition to milk and air, are reported on EPA's Rad Net web site in a section entitled Envirofacts. Despite mandatory reporting certain readings exceeding EPA MCL levels may be deleted or not included. In 2013, an EPA draft revision relaxed regulations for radiation exposure through drinking water, stating that current standards are impractical to enforce. The EPA recommended that intervention was not necessary until drinking water was contaminated with radioactive iodine 131 at a concentration of 81,000 picocuries per liter (the limit for short term exposure set by the International Atomic Energy Agency), which was 27,000 times the prior EPA limit of 3 picocuries per liter for long term exposure. EPA's Indoor Air Quality Tools for Schools Program helps schools to maintain a healthy environment and reduce exposures to indoor environmental contaminants. It helps school personnel identify, solve, and prevent indoor air quality problems in the school environment. Through the use of a multi-step management plan and checklists for the entire building, schools can lower their students' and staff's risk of exposure to asthma triggers. Clean School Bus USA is a national partnership to reduce children's exposure to diesel exhaust by eliminating unnecessary school bus idling, installing effective emission control systems on newer buses and replacing the oldest buses in the fleet with newer ones. Its goal is to reduce both children's exposure to diesel exhaust and the amount of air pollution created by diesel school buses. This permit program regulates the discharge of dredged or fill material into waters of the United States. Permits are to be denied if they would cause unacceptable degradation or if an alternative doesn't exist that does not also have adverse impacts on waters. Permit holders are typically required to restore or create wetlands or other waters to offset losses that can't be avoided. This program replaced the Construction Grants Program, which was phased out in 1990. This program distributes grants to states which, along with matching state funds, are loaned to municipalities for wastewater infrastructure at below-market interest rates. These loans are expected to be paid back, creating revolving loan funds. Through 2014, a total of $36.2 billion in capitalization grants from the EPA have been provided to the states' revolving funds. The EPA has been criticized for its lack of progress towards environmental justice. Administrator Christine Todd Whitman was criticized for her changes to President Bill Clinton's Executive Order 12898 during 2001, removing the requirements for government agencies to take the poor and minority populations into special consideration when making changes to environmental legislation, and therefore defeating the spirit of the Executive Order. In a March 2004 report, the inspector general of the agency concluded that the EPA "has not developed a clear vision or a comprehensive strategic plan, and has not established values, goals, expectations, and performance measurements" for environmental justice in its daily operations. Another report in September 2006 found the agency still had failed to review the success of its programs, policies and activities towards environmental justice. Studies have also found that poor and minority populations were underserved by the EPA's Superfund program, and that this situation was worsening. Many environmental justice issues are local, and therefore difficult to address by a federal agency, such as the EPA. Without strong media attention, political interest, or 'crisis' status, local issues are less likely to be addressed at the federal level compared to larger, well publicized incidents. The EPA "does not have the authority or resources to address injustices without an increase in federal mandates" requiring private industries to consider the environmental ramifications of their activities. In 1982 Congress charged that the EPA had mishandled the $1.6 billion program to clean up hazardous waste dumps Superfund and demanded records from EPA director Anne M. Gorsuch. She refused and became the first agency director in U.S. history to be cited for contempt of Congress. The EPA turned the documents over to Congress several months later, after the White House abandoned its court claim that the documents could not be subpoenaed by Congress because they were covered by executive privilege. At that point, Gorsuch resigned her post, citing pressures caused by the media and the congressional investigation. Critics charged that the EPA was in a shambles at that time. When Lee Thomas came to the agency in 1983 as Acting Assistant Administrator of the Office of Solid Waste and Emergency Response, shortly before Gorsuch's resignation, six congressional committees were investigating the Superfund program. There were also two FBI agents performing an investigation for the Justice Department into possible destruction of documents. EPA research has also been suppressed by career managers. Supervisors at EPA's National Center for Environmental Assessment required several paragraphs to be deleted from a peer-reviewed journal article about EPA's integrated risk information system, which led two co-authors to have their names removed from the publication, and the corresponding author, Ching-Hung Hsu, to leave EPA "because of the draconian restrictions placed on publishing". EPA subjects employees who author scientific papers to prior restraint, even if those papers are written on personal time. In February 2017, U.S. Representative Matt Gaetz (R-Fla.) sponsored H.R. 861, a bill to abolish the EPA by 2018. According to Gaetz, "The American people are drowning in rules and regulation promulgated by unelected bureaucrats. And the Environmental Protection Agency has become an extraordinary offender." The bill was co-sponsored by Thomas Massie (R-Ky.), Steven Palazzo (R-Ms.) and Barry Loudermilk (R-Ga.). In 2007, the state of California sued the EPA for its refusal to allow California and 16 other states to raise fuel economy standards for new cars. EPA administrator Stephen L. Johnson claimed that the EPA was working on its own standards, but the move has been widely considered an attempt to shield the auto industry from environmental regulation by setting lower standards at the federal level, which would then preempt state laws. California governor Arnold Schwarzenegger, along with governors from 13 other states, stated that the EPA's actions ignored federal law, and that existing California standards (adopted by many states in addition to California) were almost twice as effective as the proposed federal standards. It was reported that Stephen Johnson ignored his own staff in making this decision. In March 2005, nine states (California, New York, New Jersey, New Hampshire, Massachusetts, Maine, Connecticut, New Mexico and Vermont) sued the EPA. The EPA's Inspector General had determined that the EPA's regulation of mercury emissions did not follow the Clean Air Act, and that the regulations were influenced by top political appointees. The EPA had suppressed a study it commissioned by Harvard University which contradicted its position on mercury controls. The suit alleged that the EPA's rule exempting coal-fired power plants from "maximum available control technology" was illegal, and additionally charged that the EPA's system of cap-and-trade to lower average mercury levels would allow power plants to forego reducing mercury emissions, which they objected would lead to dangerous local hotspots of mercury contamination even if average levels declined. Several states also began to enact their own mercury emission regulations. Illinois's proposed rule would have reduced mercury emissions from power plants by an average of 90% by 2009. In 2008—by which point a total of fourteen states had joined the suit—the U.S. Court of Appeals for the District of Columbia ruled that the EPA regulations violated the Clean Air Act. In December 2007, EPA Administrator Stephen L. Johnson approved a draft of a document that declared that climate change imperiled the public welfare—a decision that would trigger the first national mandatory global-warming regulations. Associate Deputy Administrator Jason Burnett e-mailed the draft to the White House. White House aides—who had long resisted mandatory regulations as a way to address climate change—knew the gist of what Johnson's finding would be, Burnett said. They also knew that once they opened the attachment, it would become a public record, making it controversial and difficult to rescind. So they did not open it; rather, they called Johnson and asked him to take back the draft. Johnson rescinded the draft; in July 2008, he issued a new version which did not state that global warming was danger to public welfare. Burnett resigned in protest. On April 28, 2017, multiple climate change subdomains at EPA.gov began redirecting to a notice stating "this page is being updated." The EPA issued a statement announcing the overhaul of its website to "reflect the agency's new direction under President Donald Trump and Administrator Scott Pruitt." The removed EPA climate change domains included extensive information on the EPA's work to mitigate climate change, as well as details of data collection efforts and indicators for climate change. In 2015, the International Agency for Research on Cancer (IARC), a branch of the World Health Organization, cited research linking glyphosate, an ingredient of the weed killer Roundup manufactured by the chemical company Monsanto, to non-Hodgkin's lymphoma. In March 2017, the presiding judge in a litigation brought about by people who claim to have developed glyphosate-related non-Hodgkin's lymphoma opened Monsanto emails and other documents related to the case, including email exchanges between the company and federal regulators. According to an article in the New York Times, the "records suggested that Monsanto had ghostwritten research that was later attributed to academics and indicated that a senior official at the Environmental Protection Agency had worked to quash a review of Roundup’s main ingredient, glyphosate, that was to have been conducted by the United States Department of Health and Human Services." The records show that Monsanto was able to prepare "a public relations assault" on the finding after they were alerted to the determination by Jess Rowland, the head of the EPA's cancer assessment review committee at that time, months in advance. Emails also showed that Rowland "had promised to beat back an effort by the Department of Health and Human Services to conduct its own review." On February 17, 2017, Scott Pruitt was selected Administrator of the EPA by president Donald Trump. This was a seemingly controversial move, as Pruitt had spent most of his career countering environmental policy. He did not have previous experience in the field and had received financial support from the fossil fuel industry. In 2017 the Trump administration proposed a 31% cut to the EPA's budget to $5.7 billion from $8.1 billion and to eliminate a quarter of the agency jobs. However, this cut was not approved by Congress. Pruitt resigned from the position on July 5, 2018, citing "unrelenting attacks" due to ongoing ethics controversies. ^ "Our Mission and What We Do". EPA. January 21, 2017. ^ CNN, Sophie Tatum,. "A former coal lobbyist is the new leader of the EPA". CNN. Retrieved July 6, 2018. ^ "EPA Regional Laboratories Unique Analytical Capabilities and Services by Region". EPA. September 12, 2017. ^ "EPA's Budget and Spending". Washington, D.C.: U.S. Environmental Protection Agency (EPA). January 12, 2017. ^ a b c Rinde, Meir (2017). "Richard Nixon and the Rise of American Environmentalism". Distillations. Vol. 3 no. 1. pp. 16–29. Retrieved April 4, 2018. ^ "EPA History: Clean Air Act of 1970/1977". EPA. October 18, 2016. ^ a b "The Guardian: Origins of the EPA". EPA Historical Publication. EPA. Spring 1992. ^ Griswold, Eliza (September 21, 2012). "How 'Silent Spring' Ignited the Environmental Movement". New York Times Magazine. ^ Weiland, Paul S. (Spring 1997). "Amending the National Environmental Policy Act: Federal Environmental Protection in the Twenty-First Century" (PDF). Journal of Land Use & Environmental Law: 275–301. Archived from the original (PDF) on July 12, 2007. Retrieved February 21, 2015. ^ "Legislative Accomplishments: Henry M. Jackson Foundation". Hmjackson.org. Retrieved December 2, 2013. ^ a b Elkins, Chuck (October 2013). "Transcript of "Behind the Scenes at the Creation of the EPA" Video" (PDF). EPA Alumni Association. Retrieved August 20, 2018. ^ Elkins, Chuck (October 2013). "Transcript of "Behind the Scenes at the Creation of the EPA" Video" (PDF). EPA Alumni Association. Retrieved August 20, 2018. ^ "REF 51 "U.S. Opens Probe Here on Pollution" The Plain Dealer, Cleveland, Ohio, December 1970". Home | Robert Walter Jones J.D. Library and Archive. Retrieved 2019-02-24. ^ "Press Conference Attorney General John Mitchell 12-18-1970" (PDF). ^ "REF 53 "Charges J&L With Pollution" (AP) The Plain Dealer, Cleveland, Ohio, December 31st, 1970". Home | Robert Walter Jones J.D. Library and Archive. Retrieved 2019-02-24. ^ "About the Office of the Administrator". EPA. October 26, 2017. ^ "About the Office of Administration and Resources Management". EPA. Retrieved February 18, 2017. ^ "About the Office of Air and Radiation". EPA. November 17, 2010. ^ "About the Office of Chemical Safety and Pollution Prevention". EPA. May 13, 2014. Retrieved May 19, 2014. ^ "About the Office of the Chief Financial Officer". EPA. January 20, 2017. ^ "About the Office of Enforcement and Compliance Assurance". EPA. November 17, 2010. ^ "About the Office of Environmental Information". EPA. February 18, 2017. ^ "About the Office of General Counsel". EPA. November 17, 2010. ^ "About the Office of International and Tribal Affairs". EPA. November 17, 2010. ^ "About the Office of Research and Development". EPA. November 17, 2010. ^ "About the Office of Land and Emergency Management". EPA. November 17, 2010. ^ "About the Office of Water". EPA. November 17, 2010. ^ "About the Office of Water". EPA. ^ EPA Alumni Association: EPA Administrator William Ruckelshaus comments on the "silos" problem that has dogged EPA from the start in an interview in which he and some of his closest aides recall the opening months of the new agency in 1970, Video, Transcript (see p. 11). ^ "EPA SDSI Home Page". Epa.gov. December 22, 2008. Retrieved July 16, 2011. ^ "CleanGredients Home Page". Cleangredients.org. Retrieved July 16, 2011. ^ U.S. Environmental Protection Agency, "2006 Annual Report: Energy Star and Other Climate Protection Partnerships.". Retrieved March 1, 2008. ^ EnergyStar.gov, "History: Energy Star.". Retrieved March 1, 2008. ^ "Smart Growth US EPA". Epa.gov. Retrieved January 28, 2017. ^ "Federal Test Procedure Revisions". EPA.gov. October 22, 1996. Retrieved October 3, 2009. ^ "EPA Fuel Economy". EPA.gov. Archived from the original on September 7, 2008. Retrieved July 16, 2011. ^ "Welcome to Your MPG!". FuelEconomy.gov. Retrieved October 21, 2012. ^ Dave Vanderwerp (August 2009). "The Truth About EPA City / Highway MPG Estimates". CarAndDriver.com. Archived from the original on August 21, 2010. Retrieved August 19, 2010. ^ Chuck Squatriglia (November 17, 2010). "Honda Finds EVs a Perfect Fit | Autopia". Wired.com. Retrieved March 12, 2017. ^ "Oil Spills Prevention and Preparedness Regulations". EPA. March 7, 2017. ^ "Toxics Release Inventory (TRI) Program". EPA. February 13, 2017. ^ U.S. Environmental Protection Agency (EPA), Washington, DC. "WaterSense Timeline." Revised April 14, 2011. ^ "UST Program Facts". EPA. May 2018. ^ Sandy Bauers (December 7, 2012). "Spike in iodine-131 found in city water". Philadelphia Inquirer. p. 2. Retrieved December 7, 2012. ^ "Iodine-131 levels in Philadelphia, PA drinking water". EPA RadNet Environfacts. EPA. Archived from the original on October 16, 2015. Retrieved December 7, 2012. ^ Jeff McMahon (April 10, 2013). "EPA Draft Stirs Fears of Radically Relaxed Radiation Guidelines". Forbes. Retrieved May 14, 2013. ^ a b "About NPDES". EPA. November 29, 2016. ^ "NPDES State Program Information". National Pollutant Discharge Elimination System. EPA. 2018-08-20. ^ US EPA, OSWER (2016-01-22). "Learn about Corrective Action". US EPA. Retrieved 2018-12-22. ^ "Radioactive Waste Management" (website). EPA. February 28, 2013. Retrieved March 13, 2017. ^ "Radiological Emergency Response" (website). EPA. July 27, 2016. Retrieved March 13, 2017. ^ "EPA Protective Action Guide" (PDF). EPA. January 11, 2017. p. 86. Retrieved March 13, 2017. ^ "Chemical, Biological, Radiological, and Nuclear Consequence Management" (website). EPA. March 1, 2017. Retrieved March 13, 2017. ^ "Naturally-Occurring Radiation Program" (website). EPA. December 21, 2016. Retrieved March 13, 2017. ^ "Radiation Regulations and Laws, Standards for Air and Drinking Water" (website). EPA. January 19, 2017. Retrieved March 13, 2017. ^ "Federal Guidance for Radiation Protection" (website). EPA. September 1, 2016. Retrieved March 13, 2017. ^ "Creating Healthy Indoor Air Quality in Schools | US EPA". Epa.gov. November 28, 2016. Retrieved March 14, 2017. ^ "Environmental Education (EE) | US EPA". Epa.gov. August 16, 2016. Retrieved January 28, 2017. ^ "Clean School Bus | Clean Diesel and DERA Funding | US EPA". Epa.gov. October 24, 2016. Retrieved January 28, 2017. ^ US EPA, OCSPP (2013-02-13). "Information about the Green Chemistry Challenge". US EPA. Retrieved 2018-12-20. ^ US EPA, OW (2013-02-28). "About the BEACH Act". US EPA. Retrieved 2018-12-24. ^ "33/50 Program" (PDF). EPA. Retrieved September 16, 2018. ^ US EPA, OCSPP (2016-05-10). "Fact Sheet: 2010/2015 PFOA Stewardship Program". US EPA. Retrieved 2018-12-20. ^ "About the OSV Bold". EPA. p. EPA 842-F-05-004. Archived from the original on February 24, 2009. Retrieved January 17, 2009. ^ Long, Katherine. "What a $5,000 deal: Seattle Central gets former Navy ship | Local News". The Seattle Times. Archived from the original on October 12, 2013. Retrieved December 2, 2013. ^ "EPA – Wetlands – Wetlands Fact Sheet". Epa.gov. June 28, 2006. Retrieved July 16, 2011. ^ Douglas Martin (July 22, 2004). "Anne Gorsuch Burford, 62, Reagan E.P.A. Chief, Dies". Nytimes.com. Retrieved December 2, 2013. ^ "Meddling at EPA? Activists point to survey; Two thirds of 1,586 EPA scientists polled cite interference, UCS reports". Associated Press. April 23, 2008. ^ Stedeford, Todd (2007). "Prior restraint and censorship: acknowledged occupational hazards for government scientists". William and Mary Environmental Law and Policy Review. 31 (3): 725–745. ^ DiCosmo, Bridget (May 15, 2012). "SAB Pushes To Advise EPA To Conduct Toxicity Tests In Fracking Study". InsideEPA. Inside Washington Publishers. (subscription required). Retrieved May 19, 2012. But some members of the chartered SAB are suggesting that the fracking panel revise its recommendation that the agency scale back its planned toxicity testing of chemicals used in the hydraulic fracturing, or fracking, process, because of the limited resources and time frame ... Chesapeake Energy supported the draft recommendation, saying that "an in-depth study of toxicity, the development of new analytical methods and tracers are not practical given the budget and schedule limitation of the study." ^ Satterfield, John (June 30, 2011). "Letter from Chesapeake Energy to EPA" (PDF). InsideEPA. Inside Washington Publishers. (subscription required). Retrieved May 19, 2012. Flowback and Produced water ... Chesapeake agrees that an indepth study of toxicity, the development of new analytic methods and tracers are not practical given the budget and schedule limitations of the study ... Wastewater Treatment and Waste Disposal ... Chesapeake believes there was unjustified emphasis on the surface disposal of produced water to treatment plants in the SAB's Review ... Chesapeake disagrees with the inclusion of water distribution network corrosion and burden of analyzing for contaminants by POTW's into the study. ^ "Natural Gas Documents". The New York Times. February 27, 2011. Retrieved May 5, 2012. The Times reviewed more than 30,000 pages of documents obtained through open records requests of state and federal agencies and by visiting various regional offices that oversee drilling in Pennsylvania. Some of the documents were leaked by state or federal officials. ^ Adler, Jonathan H. (December 15, 2015). "GAO hits EPA for 'covert propaganda' to promote 'waters of the United States' (WOTUS) rule". The Washington Post. ISSN 0190-8286. Retrieved December 16, 2015. ^ "H.R. 861". United States Congress. ^ Hensley, Nicole (February 5, 2017). "Florida congressman pitches bill that would abolish the Environmental Protection Agency". New York Daily News. Retrieved January 6, 2017. ^ Danny Hakim (July 28, 2005). "E.P.A. Holds Back Report on Car Fuel Efficiency". New York Times. ^ Keim, Brandon. "Governor Arnie to EPA: Hasta La Vista, Bureaucratic Delay Monkeys | Wired Science". Wired.com. Archived from the original on March 7, 2008. Retrieved January 28, 2017. ^ "EPA Denies California Waiver". ABC. February 29, 2008. ^ Simon, Richard; Wilson, Janet (December 20, 2007). "EPA denies California's right to mandate emissions". LATimes.com. Retrieved November 21, 2009. ^ "Absurdity at the EPA: Denying California emissions plan a new low | News for Dallas, Texas | Dallas Morning News | Opinion: Editorials". The Dallas Morning News. January 1, 2008. Retrieved November 21, 2009. ^ "Text of Letter from Gov. Schwarzenegger and 13 other Governors Regarding U.S. EPA's Denial of California's Tailpipe Emissions Waiver Request". Gov.ca.gov. Archived from the original on November 24, 2009. Retrieved November 21, 2009. ^ Wilson, Janet (December 21, 2007). "EPA chief is said to have ignored staff". LATimes.com. Retrieved November 21, 2009. ^ "2010 Chevrolet Equinox LT2 Full Test and Video". Edmunds InsideLine. September 29, 2009. Retrieved February 17, 2010. ^ Jared Gall (August 2009). "2010 Chevrolet Equinox LT – Short Take Road Test". Car and Driver. Archived from the original on January 11, 2010. Retrieved February 17, 2010. ^ John Voelcker (October 27, 2009). "Drive Report: 26mpg in 2010 Chevrolet Equinox Four-Cylinder". GreenCarReports.com. Retrieved February 17, 2010. ^ "Why the Chevy Equinox EPA Mileage Numbers Don't Add Up". Thetruthaboutcars.com. Retrieved July 16, 2011. ^ "2010 Chevrolet Equinox vs. 2011 Kia Sorento, Program #2939". Motorweek. May 28, 2010. Archived from the original on June 1, 2010. Retrieved July 6, 2010. ^ "Review: 2010 Chevrolet Equinox LT FWD". ^ Baltimore, Chris (February 8, 2008). "EPA must rewrite utility mercury rule: U.S. court". Reuters. Retrieved February 1, 2017. ^ "History of the MATS Regulation". United States Environmental Protection Agency. Retrieved February 1, 2017. ^ John Shiffman and John Sullivan (December 7, 2008). "An Eroding Mission at EPA; The Bush administration has weakened the agency charged with safeguarding health and the environment". Philadelphia Inquirer. ^ Josh Harkinson and Kate Sheppard (April 27, 2010). "Coastal Collapse". Slate. Retrieved June 1, 2010. ^ "EPA website removes climate science site from public view after two decades". Washington Post. April 29, 2017. ^ "U.S. Environmental Protection Agency, "EPA Kicks Off Website Updates," (April 28, 2017)". EPA. April 28, 2017. ^ "Changing the Digital Climate How Climate Change Web Content is being Censored Under the Trump Administration". Environmental Data & Governance Initiative (EDGI). January 10, 2018. Retrieved July 12, 2018. ^ Schlanger, Zoë (August 7, 2015). "EPA Causes Massive Spill of Mining Waste Water in Colorado, Turns Animas River Bright Orange". Retrieved August 10, 2015. ^ Kolb, Joseph J. (August 10, 2015). "'They're not going to get away with this': Anger mounts at EPA over mining spill". Retrieved August 10, 2015. ^ Hakim, Danny. "Monsanto Weed Killer Roundup Faces New Doubts on Safety in Unsealed Documents". The New York Times. Retrieved August 17, 2018. ^ Yan, Holly. "Patients: Roundup gave us cancer as EPA official helped the company". CNN. Retrieved August 17, 2018. ^ Nelson, Arthur. "EU declared Monsanto weedkiller safe after intervention from controversial US official". The Guardian. Retrieved August 17, 2018. ^ "EPA's Scott Pruitt haunted by corruption allegations, old and new". MSNBC. Retrieved April 25, 2018. ^ Hiroko Tabuchi (April 10, 2017). "What's at Stake in Trump's Proposed E.P.A. Cuts". New York Times. ^ CNN, Jeremy Diamond, Eli Watkins and Juana Summers,. "EPA chief Scott Pruitt resigns amid ethics scandals". CNN. Retrieved July 6, 2018. Wikimedia Commons has media related to United States Environmental Protection Agency.